Now Available & In Stock! This is the latest roster book that will keep reader keep up with all of the changes including new power, retired power and other details. 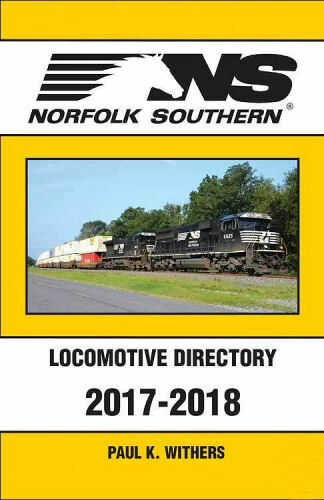 The Norfolk Southern Roster presented in this book is current as of January 1, 2018. The locomotive fleet consists of 3,917 locomotives, 175 slugs and 2 remote-control platforms. All photographs thoughout the book are in color. Soft cover.